Keyboards for computers are different depending on where the computer is purchased, in order to cater for different linguistic requirements. 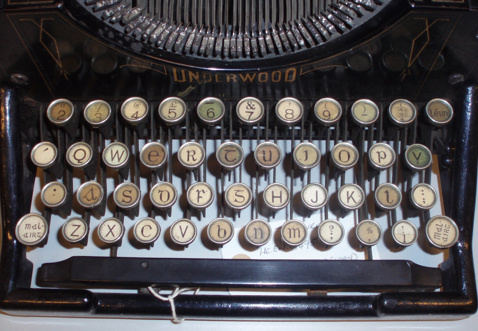 German keyboards have specific keys for letters such as ü, ä, and so on, while Italian ones have à, ù and ì. Similar for other European nations. Until about the 1960s, a specific Irish typewriter and print style existed, known as the Cló Gaelach (Irish language type). There was access to “dotted” consonants and to accents on vowels. However, parties involved in printing Irish material decided to abandon this type, and instead opt for the type used in English, i.e. roman type. This was apparently done for cost reasons. Now you have a choice! Dúrud Teoranta has developed a keyboard that addresses the shortcomings of the British keyboard, i.e. allows for easy access to long vowels.